The Oscar nominations are in and, as predicted, things are looking pretty rosy for Guillermo del Toro’s grand romance The Shape of Water. Featuring London’s own Sally Hawkins as a lovelorn cleaner and long-time del Toro collaborator Doug Jones as a mysterious gilled creature-turned-Cold War weapon, it garnered 13 nominations. Other big winners include Dunkirk and Three Billboards Outside Ebbing, Missouri, with eight and seven respectively. But there were a few surprises, including an eyebrow-raising omission or two. 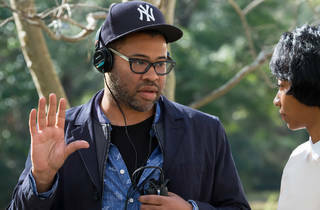 Jordan Peele is only the fifth African-American filmmaker to pick up a Best Director nomination for his none-more-zeitgeisty horror Get Out. New Yorker Dee Rees’s seriously eye-catching work on period epic Mudbound had raised hopes of a sixth but missed out in a category that recognised del Toro, Greta Gerwig (Lady Bird), Paul Thomas Anderson (Phantom Thread) and (amazingly) offered a first Best Director nod for Christopher Nolan (Dunkirk). In an Oscars first, Mary J Blige scored Best Supporting Actress and Best Song nominations for Mudbound. Early expectations were for Armie Hammer to score a nod for his role in Luca Guadagnino’s lush period romance Call Me by Your Name’ but neither he nor his director made the cut. Instead, it was left to Timothée Chalamet to fly the flag for the André Aciman adaptation in a Best Actor category that’s still expected to go the way of Gary Oldman for Darkest Hour. James Franco, recently subject of allegations of sexual misconduct, also missed out for The Disaster Artist (which did get a screenplay nod). Gerwig is the first female filmmaker to be nominated for her debut feature (the men include Orson Welles, John Singleton and Sam Mendes). 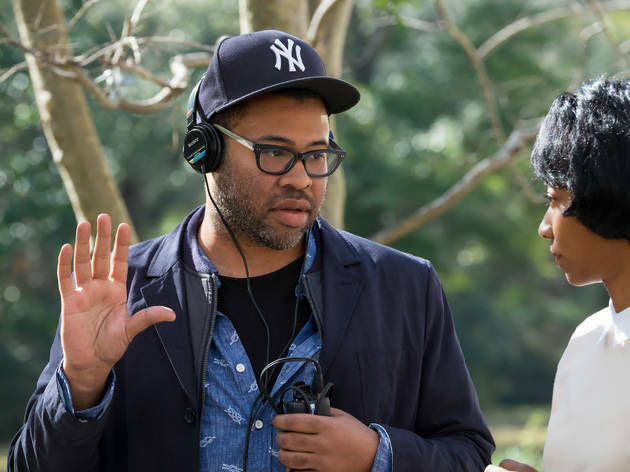 Another first came in the cinematography category, where Rachel Morrison (Mudbound and soon Black Panther) became the first female director of photography to be nominated for Best Cinematography. Wonder Woman, rumoured to be in the running for the big categories, ended up with nothing, as did the last woman to win Best Director, Kathryn Bigelow and her race drama Detroit. So little time has elapsed between Christopher Plummer’s casting in All the Money in the World and his Oscar nomination – less than two months, by our calculations – he may turn up at the Dolby Theatre still clutching the script. The hugely popular Plummer (a winner for 2012’s Beginners and, at 88, the oldest actor to be nominated in the category) is an outsider in the Best Supporting Actor bracket. If there was a Best Ringer category, though, he’d be very short odds. As expected, Three Billboards Outside Ebbing, Missouri translated its early buzz into a very respectable pile of nominations, including Best Actress for Frances McDormand (a hot favourite), Best Picture (a tepid-er outsider) and Best Score (brrr). Martin McDonagh joined Steven Spielberg (The Post) in missing out from the Best Director posse. The Best Supporting Actor bracket is where the fun is, though: Three Billboards is the first film since 1992’s Bugsy to score two nominations in the category. Sam Rockwell and Woody Harrelson will hope for better luck than Harvey Keitel and Ben Kingsley – the pair lost out to Jack Palance for City Slickers. No one likes a jingoistic flag-waver but it’d be wrong not to mention the achievement of Queensland-born Margot Robbie, up for Best Actress for her hilarious and fierce portrayal of disgraced figure skater Tonya Harding in I, Tonya (directed by another Aussie, Craig Gillespie). Robbie will have a tough time unseating Frances McDormand (Three Billboards) and Sally Hawkins (The Shape of Water), however. Hats off to actor-filmmaker Josh Lawson and his collaborators, too, for scoring a nod in the Best Live Action Short category for their psychiatric comedy 'The Eleven O'Clock'. The Academy Awards take place in Los Angeles on Sun Mar 4. Check out the full list of nominees.